In this article, we are discussing a few points to think about when deciding whether the next time you move it will be to your own home or to an apartment. For most people, buying a house is one of the biggest financial decision they will ever make. While there are a lot of factors involved, making sure you are financially stable should be the first step. When deciding to buy a house most people don’t realize that there is more to buying a house than just the upfront costs and the mortgage payment. It’s always good to crunch all the numbers before making the decision. Depending on what part of the country you settle in, there many costs entailed in buying a house. These costs include: property taxes, utilities, homeowners’ insurance, private mortgage insurance, maintenance fees and many more. 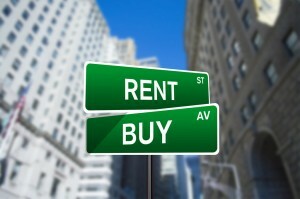 In most cases, logic goes against young adults buying a house than renting. This doesn’t mean that they are not responsible enough, but owning a home is a huge commitment. Most people in their 20s and even some in their early 30s are still working on their career advancement. This requires mobility to change jobs which can cause challenges if you own your own home. Some challenges might be that you are changing to a job for less money or your job requires you to relocate when the market timing is not right for selling your home. On the other hand, people in their late 30s are more likely to settle down. At this age, most people have started families, kids are going to school and more life conditions that require stability. There are some stressing responsibilities that come with owning a house in contrast to renting an apartment. A home needs regular maintenance and repair that as the homeowner you are responsible for. Some of these require professional skills and others are simple DIY tasks. These are things renters rarely have to worry about. While weighing the options to rent vs buy, you should also consider whether you have the skills, the time or if you can afford to hire someone every time something breaks. After considering all the points, you will realize that the question of whether buying a house or renting a house or an apartment is not just whether you can afford it or not, it also involves lifestyle choices. In conclusion, in most cases, the younger you are the better situated you are as a renter and the older you get you may become better equipped to be a homeowner. Planning a move? Call us today at 972-487-5843 or click here for a free quote. This entry was posted in Apartment Moving, FAQ's and tagged rent vs buy. Bookmark the permalink.